For more than ten years, a local veterans group has been working on a project close to their collective hearts. They believe that as a community, we have an obligation to our veterans to preserve our region’s military history, stories, documents, equipment, and so much more for all to learn from now and well into the future. “Our goal is to honor the military history of greater Middletown and its veterans. Families find items such as foot lockers and other memorabilia as generations pass, and they don’t know what to do with it. Our group came together to find a home for these collections – we have an obligation to preserve and share the personal stories of our local veterans,” explained Ron Organek, President of the Greater Middletown Military Museum Board of Directors. After much work, the Greater Middletown Military Museum Committee received approval to build a permanent Museum at Veteran’s Park in Middletown, with the hope of breaking ground in late 2016. 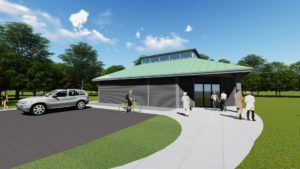 The design of the building will be simple: a single story with 3,000 square feet of floor space to house the group’s artifacts and collections currently in storage. The Museum site will be located near the Connecticut Trees of Honor, a memorial to the 65 Connecticut soldiers killed in post-9/11 conflicts. The Museum Committee was granted more than $600,000 in city and state funding to build the museum. That’s only the beginning – there is still a great deal of work to be done. The Committee knows they will need basic items to create a true center for history, education and research, such as technology, display cabinets, archival storage units, and library shelves. The Committee also believes every veteran has a story, and they hope to develop a special oral history archive – a place where visitors can hear soldiers tell their stories and share their memories. Creating a learning institute and research facility as well as exhibits collected and owned by local veterans is ambitious and will take dedication and hard work. To achieve its vision, the Committee knew that establishing partnerships was key. They reached out to the Community Foundation of Middlesex County to help connect the dots and discovered that the Community Foundation has the ability to create a Project Fund – a Fund with a beginning, a middle, and an end. 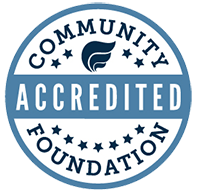 The Community Foundation accepts donations on behalf of a very particular project and ensures those funds are specifically used for that project. The Project Fund will provide the Greater Middletown Military Museum the support necessary for a special campaign such as this one. The Greater Middletown Military Museum Fund at the Community Foundation provides an opportunity for everyone to help build a lasting tribute to those who have given so much in protecting and preserving our country.